Sussex Sedition: Hit the North! At the top end of Hailsham High Street, next to the Green Chilli Indian takeaway, you will find Gallery North, a not-for-profit community art gallery. As well as exhibiting a wide range of artworks - paintings and photography to ceramics, printmaking, illustration and sculpture – by local artists, the gallery organises the annual Hailsham Arts Festival every September, and is an important part of the town’s landscape. Not only does Gallery North support local schools and art groups, and run classes and workshops, but over the past year the gallery has worked with the town council to bring life to a high street blighted by recession and the economic vandalism that Tesco and Asda have wrought on the town. By displaying the work of local artists and craftspeople in the windows of the empty shops, they have revitalised the high street; and this has even extended to artists getting out onto the street to paint murals on boarded-up shop windows. And this week, Gallery North has emerged from its deep winter hibernation with a new exhibition by East Sussex-based artists Liz and Roger Scott, Julia Desch and Angela Anstey-Holroyd. 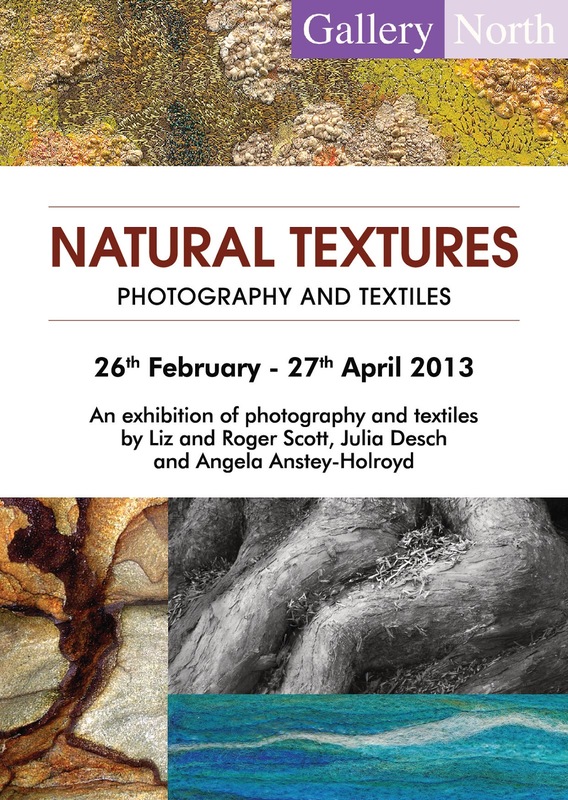 ‘Natural Textures’ is an exhibition of photography and textiles and runs to Saturday 27th April 2013. 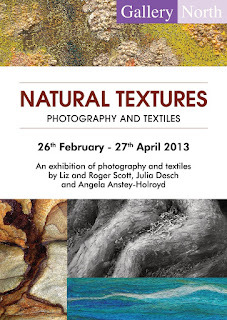 The gallery is open from Tuesday to Saturday, 10am to 4pm and can be found at 70, High Street, Hailsham.